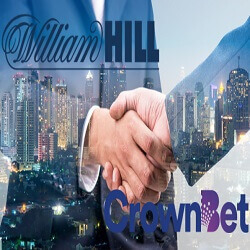 Canadian entity The Stars Group recently gained majority share of CrownBet and now, they are in the process of signing an agreement that will see them acquire William Hill Australia. The purchase price for both transactions combined is a whopping US$315 million, of which US$243 million will go towards acquiring the William Hill brand Down Under. CEO of The Stars Group Rafi Ashkenazi has said that the brand is thrilled with the new acquisitions and that they will greatly help them in increasing their exposure to the Australian sports betting market. The Stars Group will now be well positioned to grow and navigate the Aussie market and can build on what both these brands have already brought to the table. William Hill has had a rough few years, and their decision to leave the AU market was made easier by the offer from The Stars Group to step in and take over. 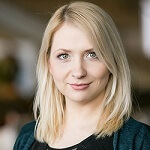 Chief executive at William Hill, Philip Bowcock has said that the disposal of their AU business will allow them to focus on growing other areas of their business and allow them to grow in both the UK and the USA in the future. Interestingly enough, CrownBet had said last month that William Hill was interested in purchasing their majority share, but recent events seem to have caused this to fall by the wayside. Now, The Stars Group has swooped in and taken on both brands at considerable cost, but with view to making considerable profits too.